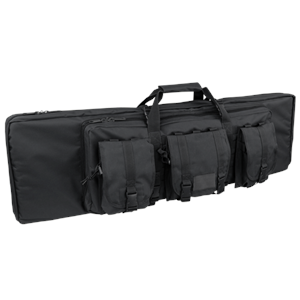 The Condor double rifle cases are designed to carry two primary weapon, with the addition 26" compartment for pistol, optic, SMG or other accessories. 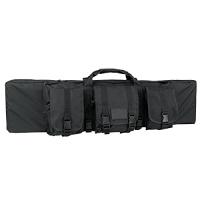 It comes with 3 modular pouches that combines to hold up to 14 M4 magazines. The padded divider separates the two rifles and the entire case is fully padded for maximum protection. 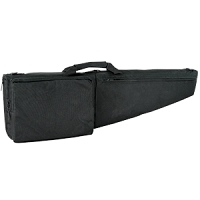 The double rifle case are available in 36" (151) and 42" (152).